Garry Rogers has explained how Nick Percat inadvertently played a role in his drivers James Golding and Richie Stanaway double-stacking in pitlane during Sunday's WD-40 Phillip Island SuperSprint race. 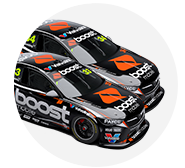 The Boost Mobile Racing Commodores made significant progress on Saturday afternoon, Golding racing from 24th to 13th and Stanaway from 19th to 14th. Golding booked an automatic Q2 spot for Sunday ARMOR ALL Qualifying, and started 14th to 17th for Stanaway, but both came in when the pit window opened on lap five. 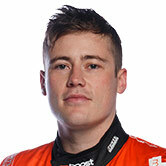 Stanaway had to double-stack, a rarity in Supercars other than during Safety Car pitstops, which were outlawed at Phillip Island in a rule trial. Rogers says the situation was due to Golding making a late call to pit when his team-mate had already committed to coming, based on Percat ahead on the road staying out. "As Bieber [Golding] exited Turn 11 and approached the pitlane entry, which is a very high-speed entry to that sweeps to the left while approaching Turn 12, he radioed that he was going past [pitlane to do another lap]," Rogers wrote in his event report. "Krusty (Richard Holloway, Stanaway's engineer) then took the opportunity to call Richie in and the pitcrew quickly returned the #34 tyres and gathered the #33 tyres. "But Bieber didn’t drive past and complete another lap. 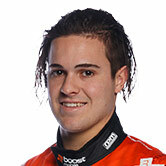 "At the very last moment he ducked into pitlane as Nick Percat, who was in front of him, had chosen to stay out and Bieber took the opportunity to try and undercut him. "At this point the pitcrew did a sensational job of regathering the #34 tyres, yet Richie was now also in the lane only 20-30 metres – two-three seconds – behind the #34 and would have to sit and wait as the wheels were changed and fuel added. "After a promising opening five laps, Richie was now at the rear of the field." Percat ultimately stayed out until lap 10 and finished 10th. 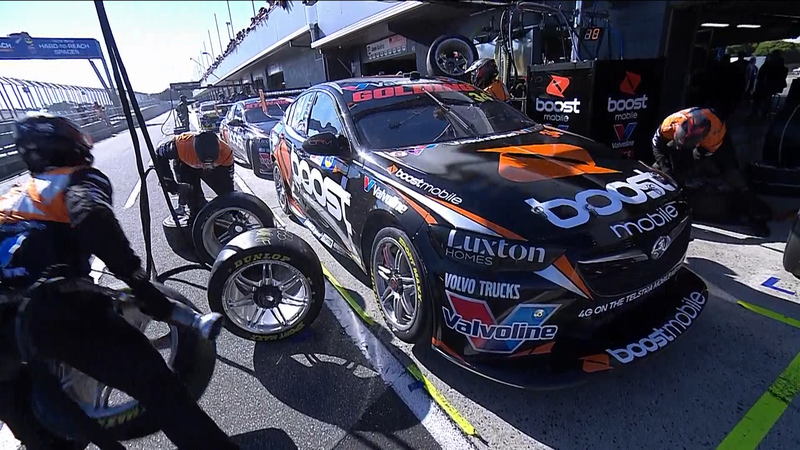 In a race Rogers said was "certainly not one to celebrate from our perspective", Golding and Stanaway were running 17th and 21st before both suffering right-front tyre failures inside the last 10 laps. They eventually crossed the line 22nd and 23rd, a lap down, Golding's Commodore also shedding a window. The pair are a Golding-led 19th and 21st in the championship heading to next month's PIRTEK Perth SuperNight. Rogers vowed the team "will be having some very open, honest and frank discussions" in the wake of the Phillip Island event.